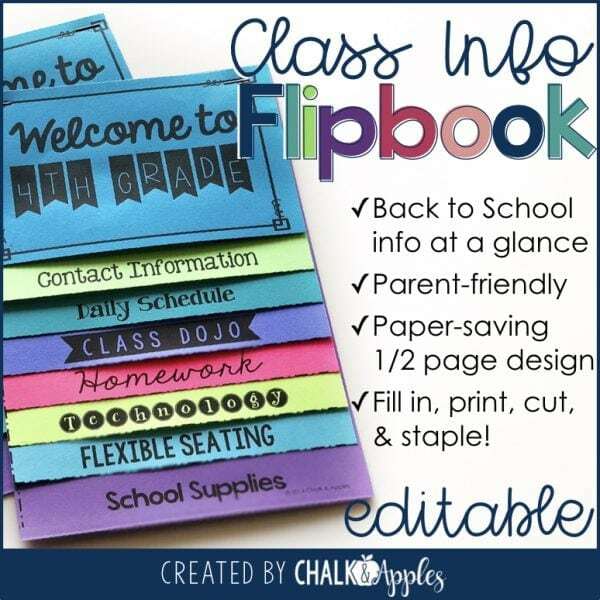 Put important back-to-school class information at parents’ fingertips with this editable back to school flip book! Perfect for Open House! This back to school flip book for parents is an easy way to get important class information to parents for Meet the Teacher, Open House, or Parent Night at the beginning of the school year. Its small size and bright colors mean parents might actually keep and use it! Customize this back to school flipbook with your class information, print on brightly colored paper, and send home with each family at open house or on meet the teacher night. For easy reference throughout the year, add a magnet to the back, and your families can hang the flipbook on their refrigerators! 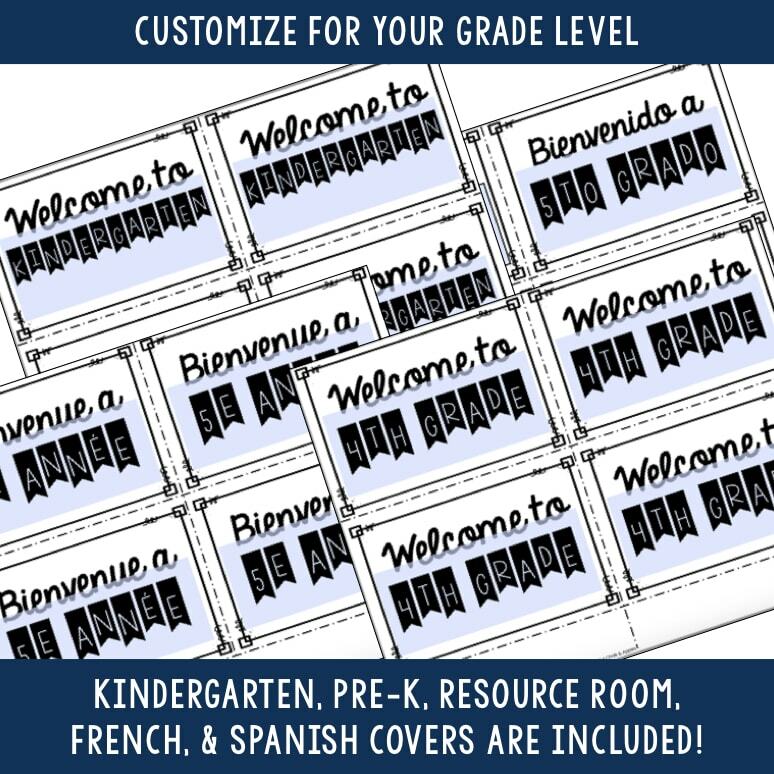 Editable cover pages are included for Pre-k, Kindergarten, Grades 1-6, & Resource Room, as well as cover pages in Spanish and French. All text is easily editable in Adobe Acrobat Reader or PowerPoint, including changing the font or size. 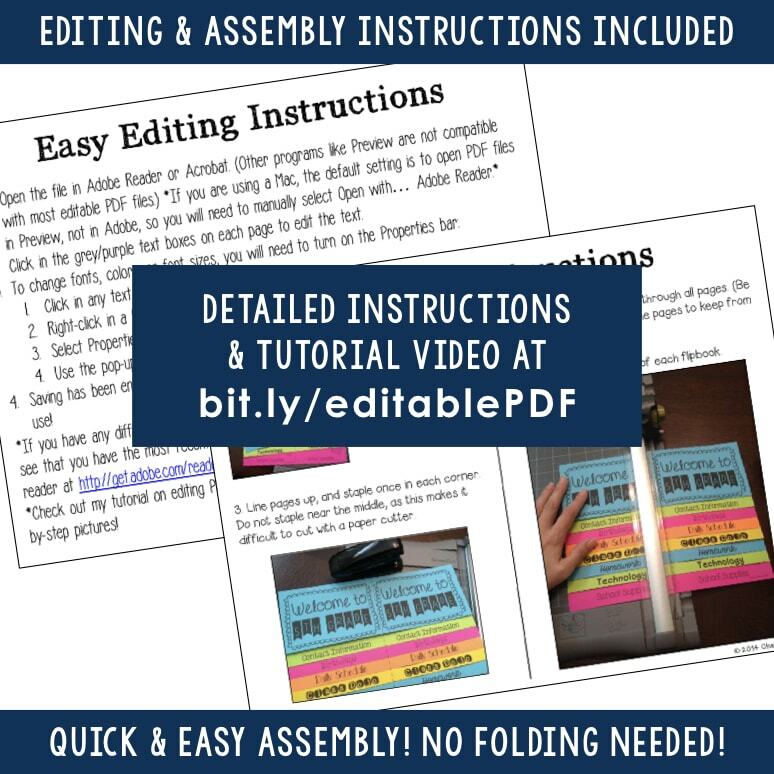 Includes detailed instructions with photos for easy assembly. 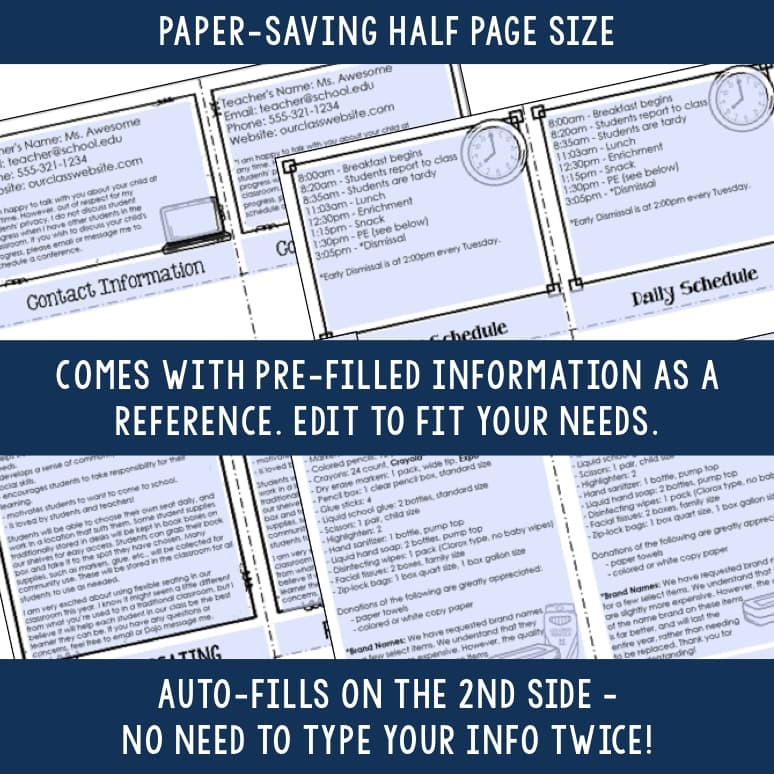 Includes both an editable PowerPoint version and editable PDF. In order to use the PowerPoint version, you will need to install the (free) fonts on your computer. If you do not want to install the (free) fonts or you have trouble with blurry images, use the editable PDF version instead.